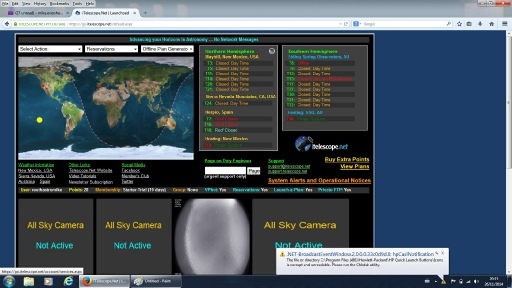 The itelescope.net site is run by a membership organisation in Australia which gives access through the internet to robotic telescopes in Australia, the USA and Spain. You don’t need qualifications to join, and there are some good video tutorials on how to use the system. But it does require a bit of effort to use the system successfully, and apart from the limited free trial facility, (which lets you have a go at using two of the smaller telescopes), you will have to subscribe to use the system regularly. Once you have signed up you have access to a webpage called the Launchpad. This contains a world map showing at a glance which of the sites are dark. From the UK the USA based telescopes are usually available in the morning, the Australian ones in the afternoon and the Spanish ones in the evening. The Launchpad has a list of the telescopes on the system (currently around 20 of them) together with a brief note on their status. It also has links to weather reports for the sites. The telescopes which say “available” can be used immediately – you just click on them and you can then choose what you want the telescope to do. 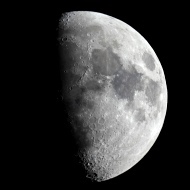 Alternatively, if you want to be sure of having access you can book a particular telescope ahead of time and the telescope is yours for the period you have booked.